Cakes, coffee and cats, these are indeed a few of my favourite things and very soon myself and my fellow residents of Aberdeen may be able to simultaneously enjoy all three with thanks to The Cat in the Window cat cafe. Yes that's right the Granite City is potentially heading the way of Edinburgh, London, Paris and Tokyo with the latest cat craze sweeping the world and cafes everywhere! 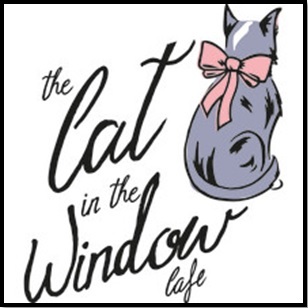 The Cat in the Window is the brainchild of local Aberdonian and self confessed cat lover Heather Lynch who simply wants to bring her love of cakes, home bakes and cats to all of us right here in the Granite City. The cafe will feature 10 feline friendlies and serve a selection of sandwiches, tea, cakes, coffee and delicious home bakes. Now you guys know how much I love local business and particularly ventures that involve coffee, cake, cats or critters and I find Heathers business venture to be so inspiring. Heather was in a job and sector she was unhappy with and so what did she do? Changed all of that with her cat cafe ventures. I truly hope the business starts up and becomes a raging success, there's nothing I love more than seeing people follow their ambitions and achieve, achieve, achieve. I salute you Heather Lynch! The hope is that the cat cafe will launch early 2016, and be able to give a little bit back to local charities working to protect felines in the area and of course work together to create as positive an environment as possible for the cats in residence. Now before we all rush and put our cat lady jumpers on the cafe is still in the planning and development stage due to funding and while the start up funds are generously being covered by the Princes Trust the cat cafe is relying on a crowdfunding appeal which I am planning on donating to come payday and if you're a fellow Aberdonian or you just love cats I hope you will too. So if you're interested in dining in feline style or as Health so aptly put, 'if this is up your alley cat' please be sure to visit the crowdfunding page and give their Facebook a quick like. Until next time folks, cat with your coffee anyone? Vroom Vroom | We bought a car!